Paige's Page: KI Live Event Jan 15th!! 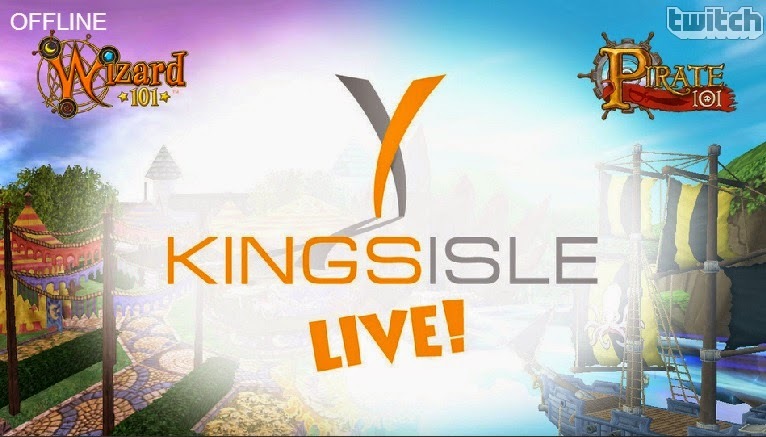 Have you check out Kingsisle Live Events?? If not, you should. This Thursday Jan 15, 2015 , 4:00 pm Central time is the next live event. These events are fun to watch while community managers play and show both Wizard101 and Pirate101 games. Also Follow @Wizard101 on Twitter to take part in the interactive part. How can you be interactive? On Twitter use the Hashtag #AskKI and ask the questions you been wanting to know about. There is a chance your question could be answered during the KI Live event. If you Missed the KI live Event you can still watch it right here!